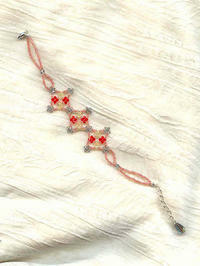 Here's a dainty crystal bracelet that makes good use of one of Spring's most important colours: CORAL. 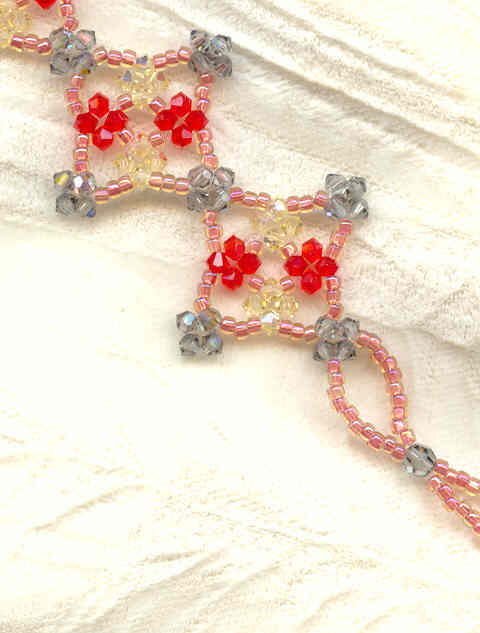 Swarovski 3mm round and bicone beads in bright red, pastel yellow and sparkling black diamond twinkle against a background of coral seed beads. The lobsterclaw clasp and extender chain are both sterling silver, and give the bracelet a working length of from 7-1/2" to 8-1/2". We always strive for maximum versatility here at SPARKLE PLENTY.